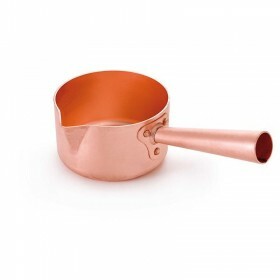 For people who love to cook. 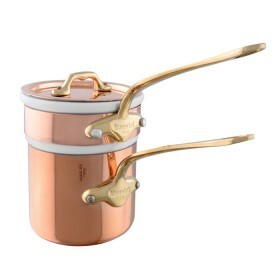 In 1830, in a Normandy village called Villedieu-les-Poeles, which is located near the Mont-Saint-Michel, Mr Ernest Mauviel established the Mauviel manufacturing company. 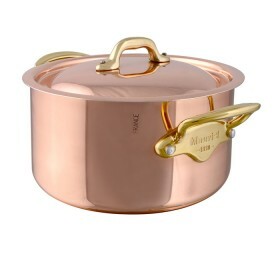 Villedieu-les-Poeles, "the city of copper"' has an 800 year heritage of copper manufacturing. 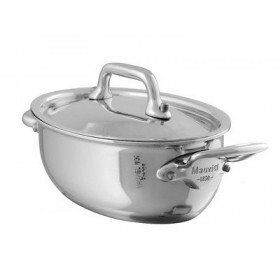 Since the very early years, by offering the highest quality products, Mauviel has been a fixture in the professional and commercial markets. 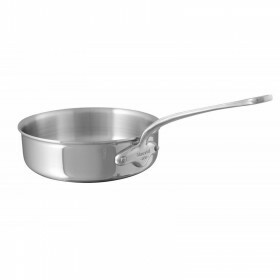 Today, Mauviel continues to offer the professional chef, products that are unsurpassed in quality and design. 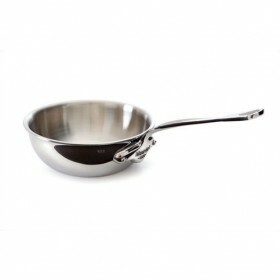 These same products are now also available to household markets. 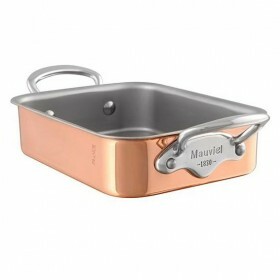 Throughout the world Mauviel products are used by many famous chefs and professionals. 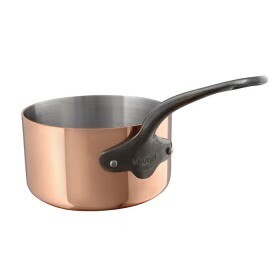 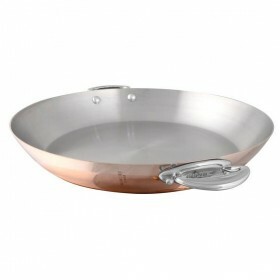 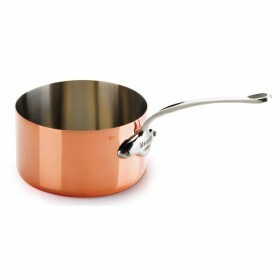 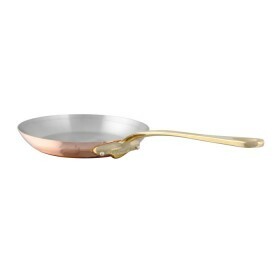 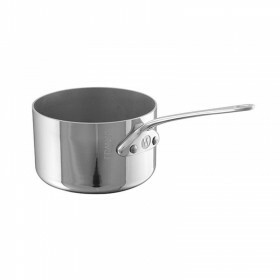 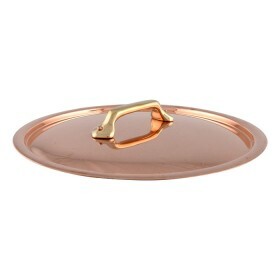 Mauviel 1830 - The worlds finest cookware 12 cm cass and lid brass handles m'heritage 150b thi..
Mauviel 1830 - The worlds finest cookware 12 cm flat lid brass handles m'heritage 250b COPPER ..
Mauviel 1830 - The worlds finest cookware 12 cm saucepan ih m'heritage 250c COPPER (STAINLESS ..
mauviel 1830 - the worlds finest cookware 12cm bain marie(tin lined) brass handles m'150b 1 to..
mauviel 1830 - the worlds finest cookware 12cm round pan stainless steel handle m'heritage 150s ..
Mauviel 1830 - The worlds finest cookware 13 cm oval cass and lid stainless steel m'minis STAI..
Mauviel 1830 - The worlds finest cookware 14 cm flat lid brass handles m'heritage 250b COPPER ..
Mauviel 1830 - The worlds finest cookware 14 cm saucepan cih m'heritage 250c COPPER (STAINLESS..
Mauviel 1830 - The worlds finest cookware 14 cm sugar pan m'passion 1 to 2 mm thick copper The..
Mauviel 1830 - The worlds finest cookware 14 x 10 cm roaster stainless steel handle copper m'minis ..
Mauviel 1830 - The worlds finest cookware 16 cm cass and lid brass handles m'heritage 150b thi..
Mauviel 1830 - The worlds finest cookware 16 cm flat lid brass handles m'heritage 250b COPPER ..
Mauviel 1830 - The worlds finest cookware 16 cm non-stick curved splayed saute m'cook STAINLES..
Mauviel 1830 - The worlds finest cookware 16 cm saucepan cih m'heritage 250c COPPER (STAINLESS..
Mauviel 1830 - The worlds finest cookware 16 cm saute m'cook STAINLESS STEEL MULTI-PLY Multi-p..